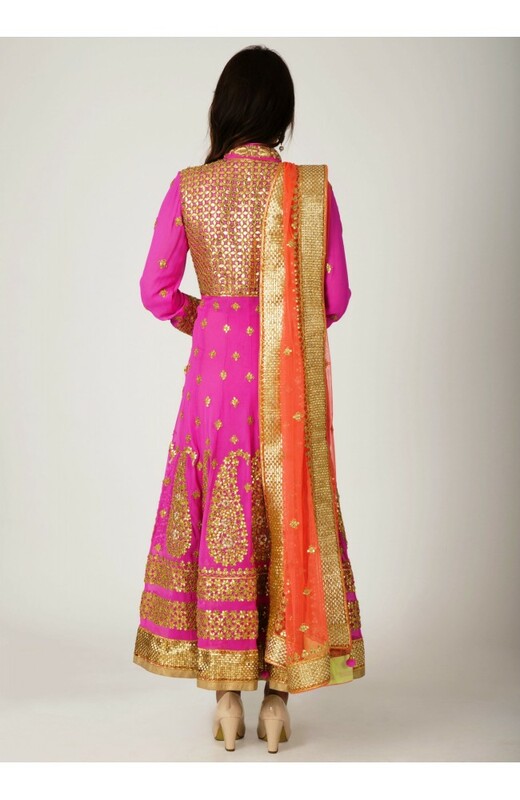 Showcasing the artistic elegance of the famous Rana is this Anarkali set. The intricate embroidered with gota pati, dori along with the stylish sequence, zardozi and vasli work, this set will lend you a look worth flaunting. 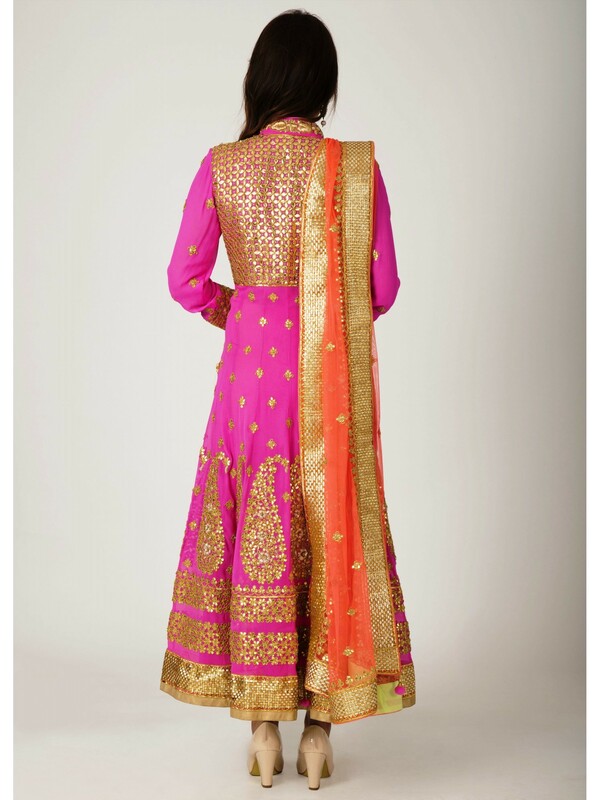 Featuring full sleeves, stylishly done cuffs, hem and collar, this kurta is made from georgette. It consists of a net dupatta and a stitched lycra net bottom.